How do you become Blog of Note? I am deeply grateful to the team at Blogger for acknowledging my page as Blog of Note (November 1, 2010). This is a high honor in the blog world and a position I take with great respect for the Blogger team, as there are hundreds of thousands of blogs across the globe to consider. Everyone has a story. Mine just happens to be about a coming of age memoir when I was a 20-something, drug addicted stripper in Hawaii. I try not to saturate my blog with stories of stripping – but the message is always the same: you don’t need to go to extremes to find your inner beauty and self worth, and you can learn valuable lessons if you do. Sometimes it takes an entire day to organize your thoughts and prepare a post. Blogging takes time, period. If you want to grow your audience, you need invest the time to write, post, and comment on other blogs. Remember, this is supposed to be fun, so if you find yourself stressed out because you don’t have enough time for the blogging world, relax. Bloggers are amazing people and quite forgiving when you don’t come around often. Just remember to have realistic expectations. You will get out of it what you put in to it. Do you have a Twitter account yet? If you are serious about blogging and want to gain exposure (and a possible Blog of Note spot), Tweeting is essential. Blogger has a Twitter account. Every time you post a link to your blog, Tweet it. Mention Blogger, and their team in Mountain View, CA will take note. Notice I also used hash tags (words with #). Hash tags are another great way to build your blog audience. Tweeting is the best way to build a global audience who may not necessarily have the time to read through your blog page, but if they like your tweets, you will know. People will start re-tweeting you. A re-tweet is another way of saying “Hey, check this out – this is a really great article”. Imagine if your tweet was “RT”-ed just once from someone who had thousands of followers? Twitter = exposure. 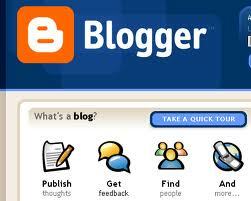 Blogger has a wonderful Blogger Buzz tab that keeps you up to date with the latest and greatest gadgets and the like. Take the time to explore this tab (and the new design templates) and don’t be afraid to try new things for your page. Remember to keep it simple, easy to read and navigate. You never know who will be checking you out and you want to be sure your page isn’t too busy, which may turn off the viewer. Blogging is many things to many people. Remember why you started blogging in the first place and stay true to who you are. If you embrace the community and stick around you’ll find that, Blog of Note or not, this is a really awesome place to be. Yeah, I've been reluctant to make use of my Twitter account. I guess I need to bite the bullet and use it! Congratulations, AGAIN! You are just making me so proud! And your advice is succinctly perfect. You're going big places, my dear! Hi Christine, Congrats on the Blogs of Note. I have only been blogging for a few months and started it as sort of a journal or outlet to get some things of my chest. I love it! Your advice on this post is great and I plan to use it. I am totally clueless about Twitter, but not for long, Ha! That is fricken awesome! Congrats! (And thanks for the advice :)You know I LOVE your blog! 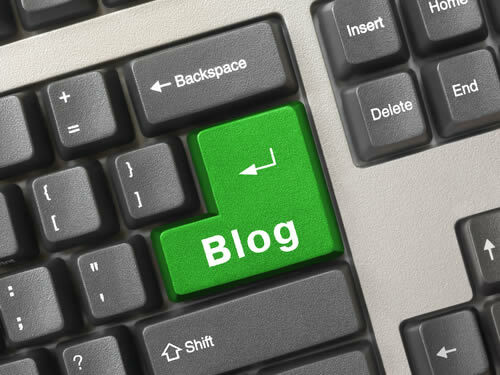 Hi!I found your blog via the 'blog of note' and co-incidently it was what I was looking for.I am writing a memoir too so to find your blog was amazing.Thanks for the tips and I look forward to reading your blog. I saw that you were a Blog of Note. How cool! I have to ask how # makes a difference as a tag? I have the same question as Matt… oh, you also did not mention that being as pretty as a spring day, doesn't hurt!! This seems like pretty good advice! I'll give it a shot. How wonderful and helpful! I look forward to your Blog's.You'll be really famous soon. I'm jealous, laugh out loud. Congratulations & thank you for the tips, very useful for a new blogger 🙂 P.S. Cool blog ! Congrats! And thanks for sharing your advice. There is nothing more attractive than someone who gains success and shares the secrets! I come to your blog by chance. But I like it at first sight. I really envy your life. Wonderful!I will visit your blog usually.By the way, i would like to invite you to my website:www.onlinenewshop.comand if you can give some suggestion about my power balance, i will be appreciated. Thanks in advance!Have a nice day! Your note is informative. However, I believe that having people visit and read your words is key. You can do all that and still have nothing if no one actually comes to your site.I happened along to your blog by happenstance. I was intrigued by your words and became a follower. I've also invited you to visit my blog. Give it a try Christine. Thanks. I think I need you to give me a lesson in Twitter 101. This is great to know! I am just now starting out on taking my blog seriously and really making it “me,” and it helps to have an audience. Really helpful information. Thank you!